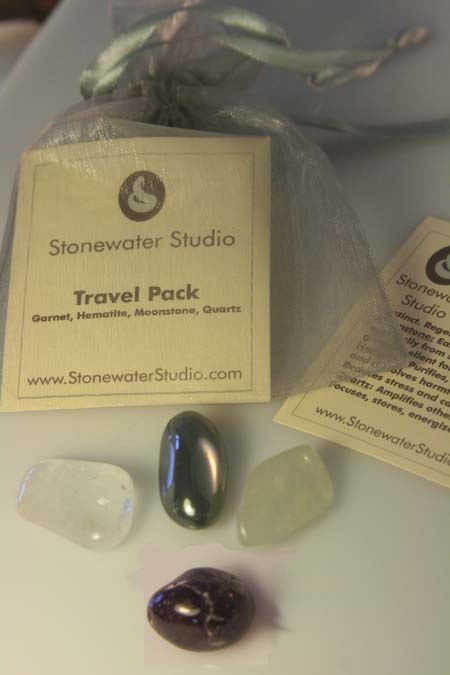 The Travel Pack of gemstones combines the protective and balancing benefits of a variety of gemstones. 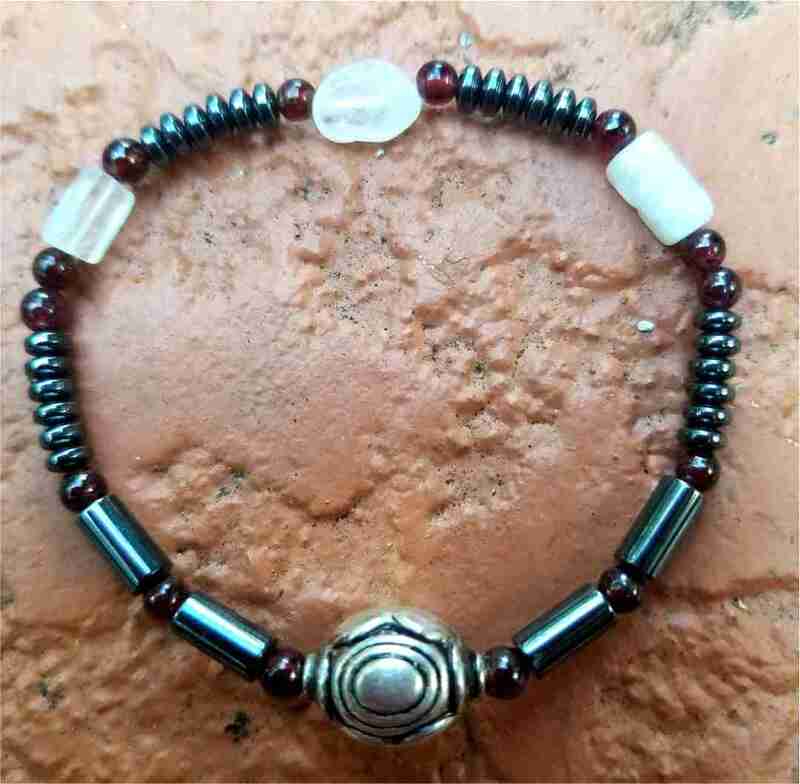 Garnet is extremely protective and heightens survival instinct; Moonstone eases stress, fear, tension and brings peace; Hematite is grounding and dissolves harmful intentions; Crystal Quartz amplifies the other stones. All the gemstones are cleansed (of any foreign energies) and charged in full sunlight. Comes packaged in a handy pouch with details about the gemstones. Great to carry while traveling or place next to your bed stand at night or use in baths or elixirs. A simple, elegant bracelet that protects travelers and reduces jet lag. Was $45, now $27.